I was fortunate enough to snag some time with an upcoming developer who’s work can be found for many HTC Thunderbolt devices if they search hard enough through the forums. The neat thing about this developer is that they are an incredible multi-tasker just like the platform they work on. A mother, full-time worker, and part-time Android developer. Impressive. 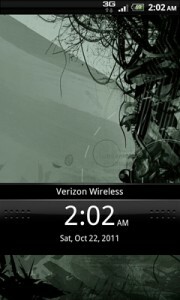 Her name is Misty and she goes by Liquidzgrl on the web, and she creates ROMs and themes for the Thunderbolt. Down below you can read my conversation with her on starting to develop, being a mom and still having time for a hobby, and possibly being the only underground Android developer who just so happens to be a girl. DL: To start it off – what’s your name and what is it that you do? Misty: My name is Misty. Better known by my Android alias, Liquidzgrl. I currently work full-time as a CSR in the utility industry. I’ve been with popular Android developer, Liquid0624 for 11 years now and we have 1 son together. I make boot-animations and other fun graphics for Android and have recently started getting into ROM development and am also experimenting with app development. DL: Excellent. So what got you into Android in the first place? Misty: Well, I am a former Blackberry user here. Liquid0624 purchased the OG Droid while I was left in the dust with my paperweight. 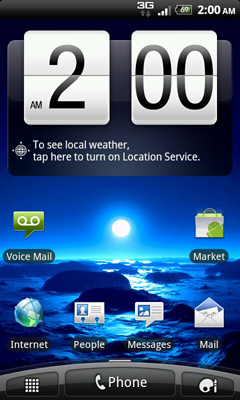 I loved the capabilities that the Android system had to offer. Once I saw how amazing the graphics were I started my quest into the Android world with inspiration from ChevyNo1 and his Simply Stunning ROM. I never really had any formal background in computer programming although starting at age 14 I did start self study of C++ and VB.net a few years later. I started playing around with boot-animations at first for Chevy but then when Liquid0624 starting getting more involved into ROM development I followed quickly behind like a pesky fly wanting to know all about it so he has been helping me learn more and grow with Android Development myself now. I absolutely love being able to do what I want and have that control of my phone. I couldn’t contain myself any longer once I purchased my HTC Thunderbolt. I wanted to root in the worst way the bloat was getting to me. Though I think all the ROMs out there are amazing none of them were what I wanted so my journey truly began and i decided my goal was to make what I want happen and then root so that is just what I did. Going forward, the possibilities are endless and I love it! DL: So, do you know of any other girl developers in the Android ROM community? You might be the only one! Misty: No, I think I might be the only one at least for right now. There could be others out there but certainly none that I know of directly or that have been publicly mentioned. Maybe I’ll start a new trend. Now that I have released my first Rom, Liquid Thundersense V2.0 and some of those who have tried it are commenting as to how well it works and how much they like it, I am hoping it will easy the anxiety of some who are cautious to trust the development abilities of a woman. DL: So what exactly was lacking from other ROMs that you are delivering in your ROM? Misty: Actually, this one is an interesting twist on things. The other ROMs were lacking the basic stock only feel that I was seeking. The other ones had more than I wanted in them. So as a newly rooted user my ROM was created to be appealing to those who want the best of Stock minus bloat plus the speed and a ROM that makes newer rooting users feel more comfortable with the transition into the rooted android world. DL: So where would you like to see your development in the future? Going to pursue making ROMs? Or would you like to do something else? DL: About how much time would you say is spent on Android in any given week? Hard to juggle being a mother, having a job, and Android as a hobby? Misty: Harder than I could ever even begin to describe! Being a mother is a full time job. I work a full time job. Android as my hobby though I would like to devote more time to it, sadly I must put it on the back burner. The time I spend on Android work in any given week varies so extremely it is hard to pinpoint a number as a generalized answer. I’d say on a good week 10-20 hours and a bad week less than 10. DL: That’s got to be intense. DL: Do you think Android will be around when your son grows up? Maybe he can be the next big ROM Developer? Going to teach him to code at an early age? Misty: I definitely think Android will be around when he grows up though by then it might just have the capability to go to work for me. *laughs* Maybe he can be the next big ROM Developer? Absolutely, he has the potential to do anything that he sets his mind too. We all do! Am I going to teach him code at an early age? I may not have to, he watches Daddy(Liquid0624) and me and has started reading internet tutorials already without any suggestion from us. He longs to hold the LiquidJR title in the community. DL: Nice. We look forward to his work. Keep us posted on any future development. Thanks so much for taking the time to talk to us! Misty: And thank you and all the other great developers out there who have also helped get me here today! Everyone watch for releases and upcoming work from me and our team! It’s been a long time since we had one of these and it reminds me that there are so many people out there that spend lots of their free time, to help people enjoy their devices to their full potential. Developers like Misty and her husband are good people that deserve some gratitude. So on behalf of the DL community, a big thanks to all the developers/themers out there that don’t make a living off this, but still sacrifice the time and energy for the love of it. If you want to follow Misty on Twitter, you can find her here. Interested in flashing her ROM? Then check it out here. Learn more about their work at their website. More of this series can be found here.